Elementary-age children will appreciate the positive, real-world examples and vibrant full-color illustrations that bring the stories and pages to life. Containing Scripture for the adult reader, alongside reverent, yet whimsical explanations designed to hold a child's interest, this book will help families and catechists reinforce a vision of a healthy spiritual life in step with God's plan. 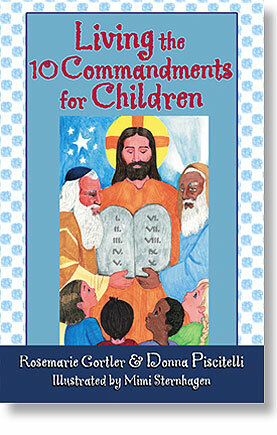 An excellent preparation tool for the Sacrament of Reconciliation, Living the 10 Commandments for Children contains a mini-examination of conscience appropriate for children.